Editor's Note: Boston is one of the best sports cities in the world. Full of nutty, Tom Brady crazed Massholes, their passionate love for local teams is hard to match. With all that local pride, it makes sense that Parlor has found success among the gritty skiers of New England. Not to mention, they make some badass skis too. Boston isn’t where most people would think of starting a ski business, but Parlor isn’t most ski companies. 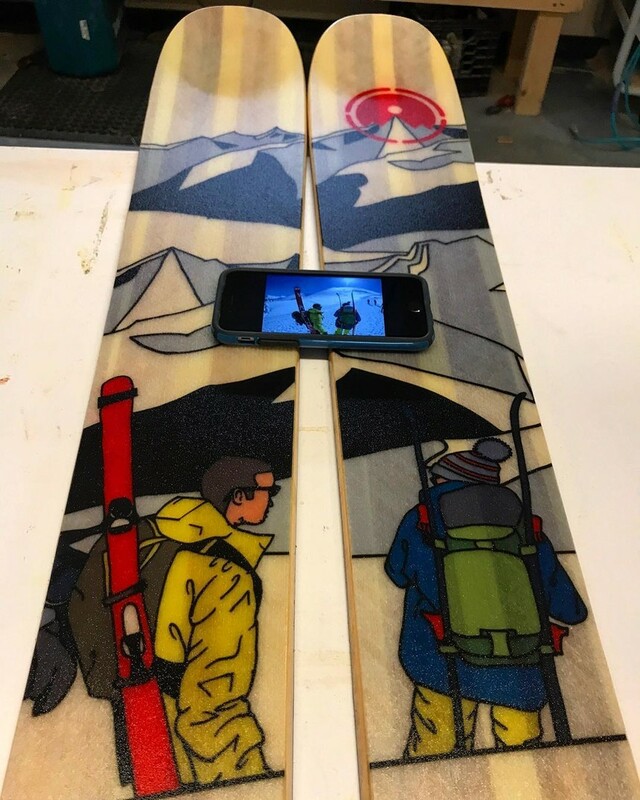 Just a few miles past Logan Airport on Route 1A, the small custom ski company is changing the way people order their planks. Parlor co-founders Mark Wallace, Pete Endres and Jason Epstein all grew up ski racing around New England where they graduated to the collegiate level and then ultimately moved on to professional circuits. If anyone knows New England skiing, it’s the guys from Parlor. Custom to the core, there’s no such thing as stock anything in their shop. And as good ski days can be a precious commodity in the east, the crew believes you should make the best of those days by riding the perfect ski matched to your personal style. We checked in with co-founder Mark Wallace to find out more. TGR: When did you get started and how did it all begin? Mark Wallace: Parlor was founded as a lot of great ideas are, over a couple cold beverages. Me and two of my college racing buddies were sitting down and lamenting through parallel issues. The number one being that we didn't feel like there was a ski brand that really captured what it was like to be a New England skier and some of the things that we dealt with. Also, we felt that there wasn't a high quality laminate construction ski in that 100mm underfoot zone that you can carve on and still get into the back country with, or side country at least. This was 2009. A lot of skis that have emerged in that category didn't exist yet. Back then it was kind of like the Völkl Mantra’s or nothing. You had a full camber ski which was super heavy and not very user friendly. Jason who was my partner said “you know, listen, people are building small batch skis and there’s some pretty good quality there.” So the next day we were at Home Depot buying 2 by 4s and trying to figure out to how put a press together. We worked pretty hard pen and pad. We did lot of testing for about four years before we launched a brand. MW: Throughout that time we really learned that in order to provide the highest quality product and best costumer experience we were going to have to build all of our skis to order and in whatever location we wanted to be in. And certainly Boston has the highest concentration of skiers in New England and they’re a super passionate group here. So that’s how we landed in Boston. There’s lots of researchers here, big universities, really smart people. There’s a ton of people we’ve been able to collaborate with in interesting ways. It’s not the most efficient ways to build skis, but it allows us to do custom graphics, do everything in the U.S.
We create each pair uniquely to order which allows us to deliver a lot of value to the customer that you just can’t get when you're producing 10,000 skis at a time. TGR: So how many skis a year do you guys make? MW: We press about 20 a week during the season and then we do ski building classes all summer. We put 60 people through the class in the summer. 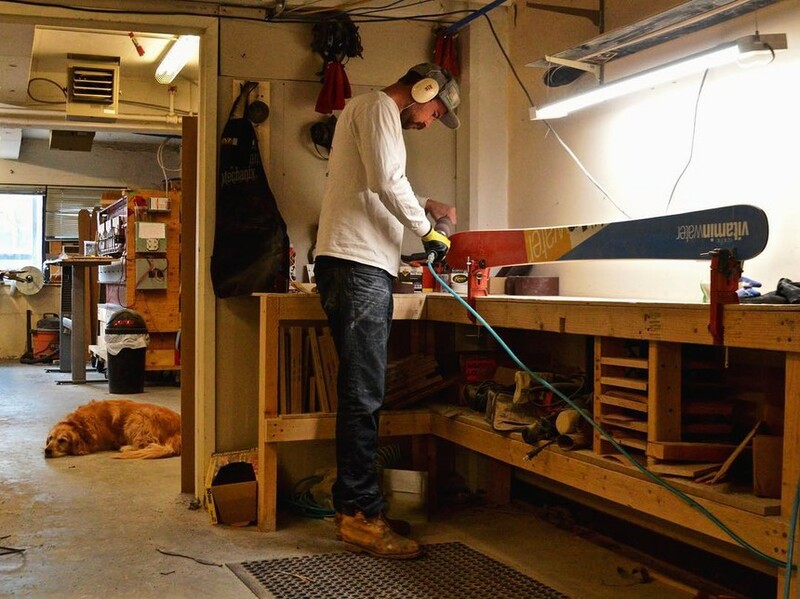 We bring people into the shop and you can work with us and you go through all the steps to make your own skis and leave after a few days with a ski that you built. TGR: Describe your method for creating skis? MW: So we build a sandwich construction ski which spurs from traditional race inspired designs. We use aspen and maple as our primary two woods in various combinations depending on how we want the ski to perform based off of the needs of our client. We do have carbon fiber for backcountry layups, laminate structure for a touring layup which is snappier and lighter. We actually have a couple skis coming out this year that have a tightenal sheet in the core to make them damper and to give them more drive. We just want to make as many people happy on the mountain as possible. We want to build the highest quality best fit skis that we can. Those are my goals everyday. And to make sure that we got work for our guys, that it’s a nice place to work, and that we're making people happy. The growth and all the stuff that comes after that is just part of the goal. TGR: So you guys aren't trying to become the next giant ski company? MW: No, but not because we don't want to be big, but we believe in building products close to where they are made. So if Parlor was going to go to California because we felt we had something to add to that community or production there, we would go to California but we would set up shop there. We will be a lot bigger. Anything that is a carving sport falls under the umbrella that is Parlor. We've made skateboards, kiteboards, snowboards. Surfboards are on the horizon. 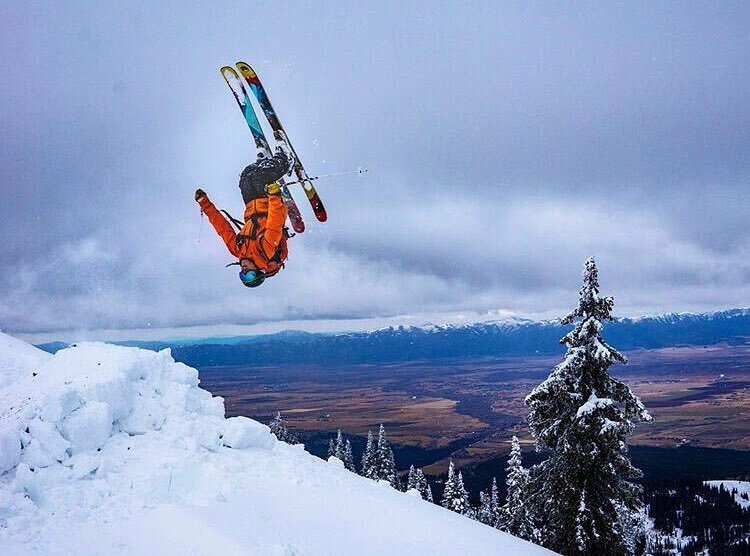 We’re a ski company but we’re going to chase that opportunity wherever it takes us. So that’s my goal. TGR: What changes have you seen in the ski industry since you started making skis? MW: We kinda got into the game right as things were heading towards where they are now. Things have stabilized lately in shape and rocker profile. Width at the time was getting wider when we started. That’s stabilized now a bit, and we’re even starting to see widths come down. We’re also starting to see companies move back into the mid 90s a little bit more, where as most stuff was over a 100mm underfoot in 2012. 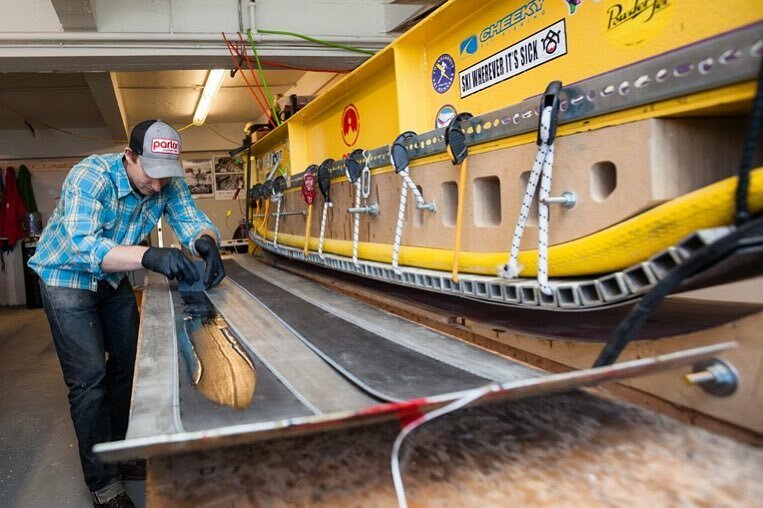 Companies are continuing to push the materials envelope, seeing what kind of performance they can get out of different materials and skis, so that’s always interesting. Shapes have begun to be pretty well understood. There are a lot of companies that build good skis, but there still aren't a lot of companies that provide a fitting, fully customized product that’s made for the individual consumer. If you've ever seen a design brief for a ski at a major manufacturer, it’s like “design for this client in these conditions for this range and that range”; they’re shooting for the middle to sell to the most skiers. We don't have to do that. If someone wants a crazy graphic with pink puppies we can do that and meet that need for the customer. TGR: How do you plan to stay relevant among all the little independent brands out there? MW: I spend a lot of time thinking about how to make the highest quality, best fit skis possible. And making our clients really happy. That’s what I focus on. My job is to make it fun and easy to buy skis as a consumer. It’s not your job as a client to know the exact specs you want to ski. Your job is to say “I want to charge this type of terrain or I want to feel more comfortable carving” and “can you build me a ski that can do that for me?” So that’s what I do. I guarantee that 100%. And if we tell you a ski is going to do something and it doesn’t do it, we take it back. A big part of us staying relevant is building community, providing a quality product, and excellent service. TGR: Is there a kind of community of boutique ski companies or are you super competitive? MW: It’s sort of competitive, but not really….Most of us have a pretty well defined and not super overlapping brand story. In some ways we are competing over customers, but most of the time people are deciding between us and Volkl. Not us and Wagner. 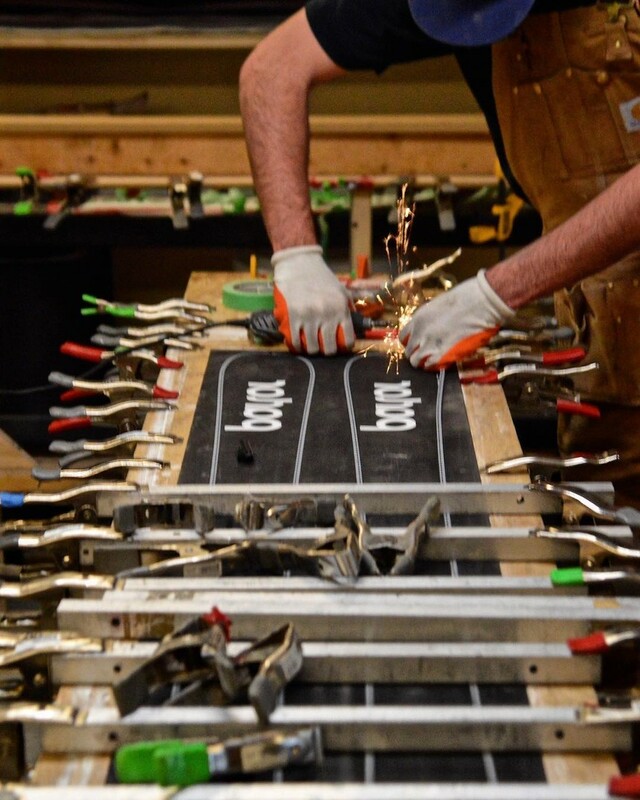 Building skis is really hard and people do it in different ways. I’ll pick up the phone and call Mike McCabe at Folsom Skis or he'll call me and we’ll buy materials together to get a better deal. Sometimes someone will be struggling with a technical piece and we’ll talk through the problem. We’re always talking about design with other guys. Ski building is not a linear process. You can’t walk into a factory and take one element of someone’s process, because it has to work and everything has to match with your process. It’s not like you can just plug it in and play. No one is hiding secrets. Some brands might not like each other, but that is rare. The only thing that bums me out is when people are just getting going and they aren't making good products and they don't ask for help! TGR: Who is the ideal Parlor skier, or what type? MW: The theme that connects our clientele is how much they care about the sport and how much they enjoy doing it. We have everyone from celebrities and hedge fund managers to laborers. There’s no income or age demographic. If you're going to come in and talk to me in the shop, spend some time thinking about your skis and their graphics, you care about the sport. And that’s awesome for me, because I have the best job. I get to talk to people about the thing they're most excited about. No one ever calls me up and is bummed out. People are pumped when they call. 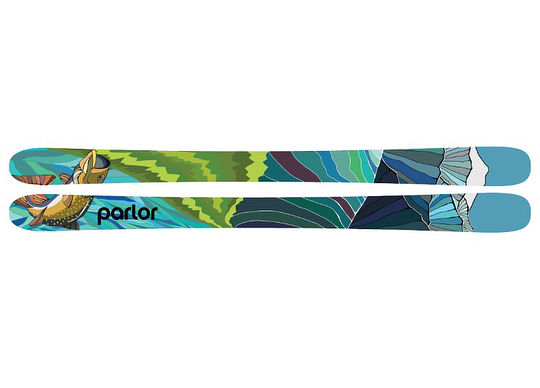 TGR: Last question, how did you get the name Parlor? MW: Jason’s cousin had bought a building to develop. It happened to be an old funeral parlor. He got stuck in permitting with the city of Cambridge and during that process he said that we could move in for a couple months, get set up and start pressing skis. We were there for four years before the building department found us and kicked us out. They basically told us we could either embalm bodies or live there, but other than that the building wasn’t zoned for anything else. So we blacked out the windows and parked around the corner and snuck in at night to make skis. Eventually, we went on a long real estate hunt and ended up in East Boston. It’s super convenient to down town. We have about four thousand square feet here now and we got state of the art equipment and a good process to turn out custom skis.